With its stylish homes, ideal location, and white-glove amenities, Parkside Brooklyn offers luxury living just a few minutes from historic Cobble Hill. Anyone seeking Cobble Hill apartments will be delighted by Parkside Brooklyn, which offers stylish homes just a stone's throw away from Cobble Hill, a historic neighborhood known for its picturesque 19th century brownstones. There, residents can take in a film at the iconic Cobble Hill Cinemas, shop for groceries at Trader Joe's or Union Market, get active with a yoga or barre class, or dine in one of Cobble Hill’s many restaurants. Atlantic Avenue is home to some of the best Middle Eastern restaurants in New York City, while Court Street is lined with eateries that serve craft cocktails, tapas, sushi, and much more. Beyond its close proximity to Cobble Hill apartments, Parkside Brooklyn offers quick access to all of New York City. The Q, B, F, and V New York Subway lines are just a short walk away from Parkside's doorstep, and the B16 bus stops right around the corner. In just 15 minutes, Parkside residents can reach the shopping and transportation hub at Brooklyn's Barclays Center, and downtown Manhattan is just a 20-minute subway ride away. With its numerous family-friendly amenities, the residences at Parkside Brooklyn rival any Cobble Hill apartment. It's easy for residents of all ages to stay active thanks to Parkside's kids' room, games room, yoga room, spacious gym, and bikes that are perfect for Prospect Park's beautiful bike paths. For relaxation, there's no better place than Parkside's fully-landscaped roof deck, which boasts comfortable lounge chairs, a BBQ area, and breathtaking panoramic views of beautiful Brooklyn, including neighboring Prospect Park. Inside Parkside Brooklyn, the building’s beautiful apartments deliver an unparalleled living experience. 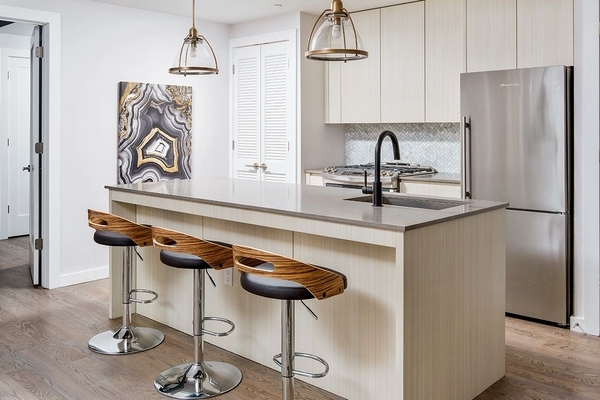 Sought-after amenities like chef's kitchens, hardwood floors, expansive closets, wide windows, airy living spaces and modern finishes ensure that each home offers all the sophistication that residents expect from Cobble Hill rentals. 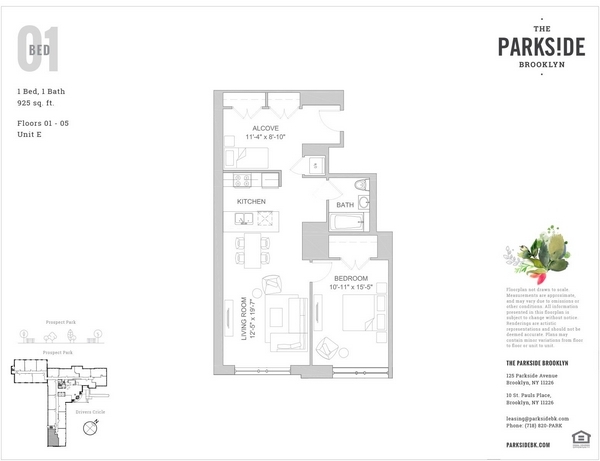 Best of all, Parkside's airy studios, generous 1-bedrooms, spacious 2-bedrooms, and expansive 3-bedrooms are competitively priced for its prestigious location next to Prospect Park, and at Parkside Brooklyn, you'll never pay a realtor's fee. After viewing the available apartments at Parkside Brooklyn, contact us to discuss the next steps to making Parkside your new Brooklyn home.